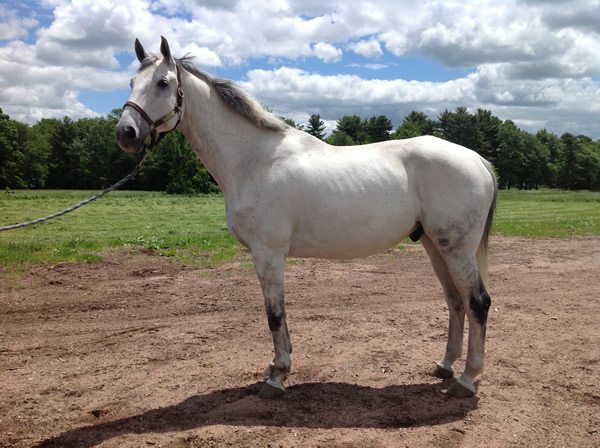 I never wanted a gray or white horse because I always thought they’d be too hard to keep clean. However, when I met Presidio, aka “Leo” and realized we were the perfect match, I decided to take the plunge. Not long after that dive which, by the way, was in the depths of winter, I discovered my fear of white was not unfounded. Every blanket, saddle pad, cooler and fleece (including the ones I was wearing) quickly became coated in hair. I knew it would only get worse once he started to shed so I began experimenting with a variety of products to see what worked best. He wouldn’t tolerate the large teeth of a standard shedding blade and, although they worked well, the shedding stones wore down to nothing after just a couple of grooming sessions. Pictured are me and my horse Leo, the inspiration for creating the EquiGroomer. I needed to find something that would work like a stone but last like a shedding blade, be gentle on his skin, comfortable for me to hold and easy to find when it invariably found its way on the ground among the stall shavings. After much experimentation, I am proud to introduce the EquiGroomer. 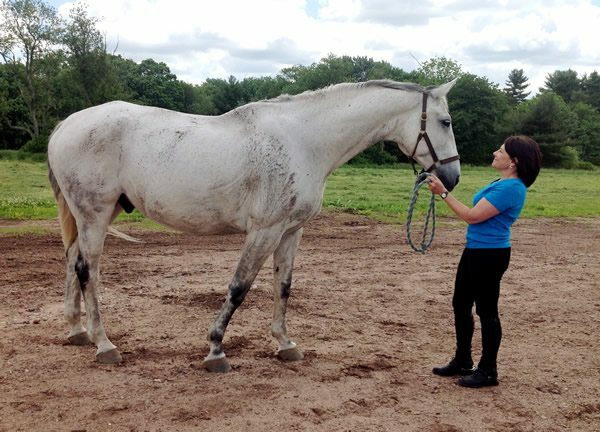 It has solved more than just the shedding problem, it has helped Leo’s coat stay clean, shiny and soft, which says a lot about a horse who loves to roll in the mud. Leo after being groomed with nothing more than the EquiGroomer, a soft brush and a damp towel to wipe off the residual dust.